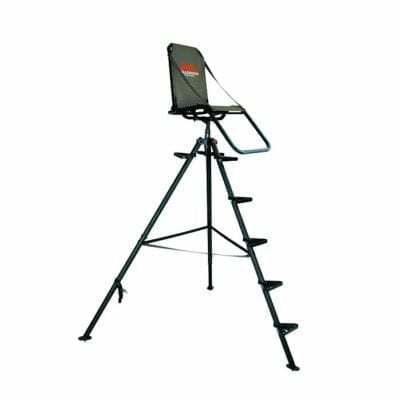 The L360 Ladder Stand derives its name from its 360-degree swivel seat and 360-degree padded shooting rail, which give the hunter viewing and shooting angles no matter from what direction the game appears. 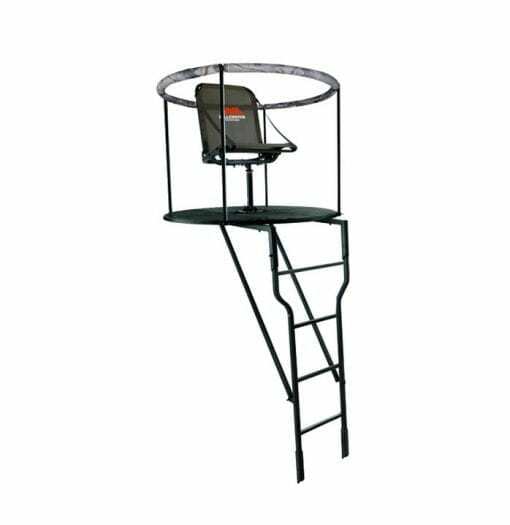 The large platform is 48 inches in diameter, allowing hunters plenty of room to maneuver and yet still be able to use the full-circle shooting rail. 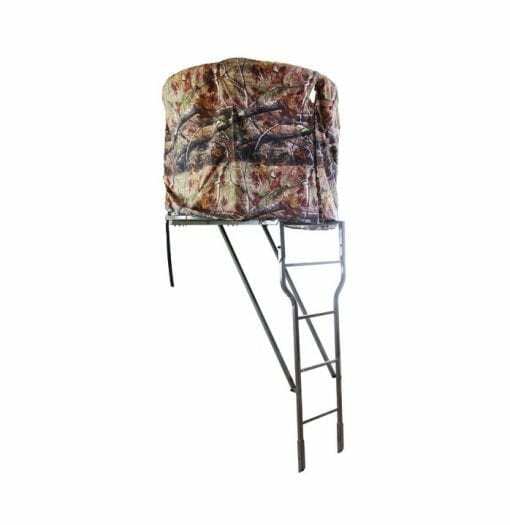 That rail also comes with a camouflage skirt for extra cover, making it much less likely your trophy will “bust” you before you get a shot. 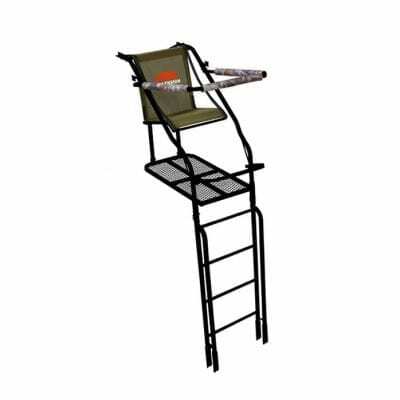 A great stand for covering multiple trails leading to feeding areas, the L360 has all of the Millennium features that make it durable, secure and comfortable: a powder coat finish on steelTOUGH construction, a height-adjustable comfortMax seat and stabilizing strap for secure attachment to trees. This is the tree stand you will want to put up in your favorite stand sites.